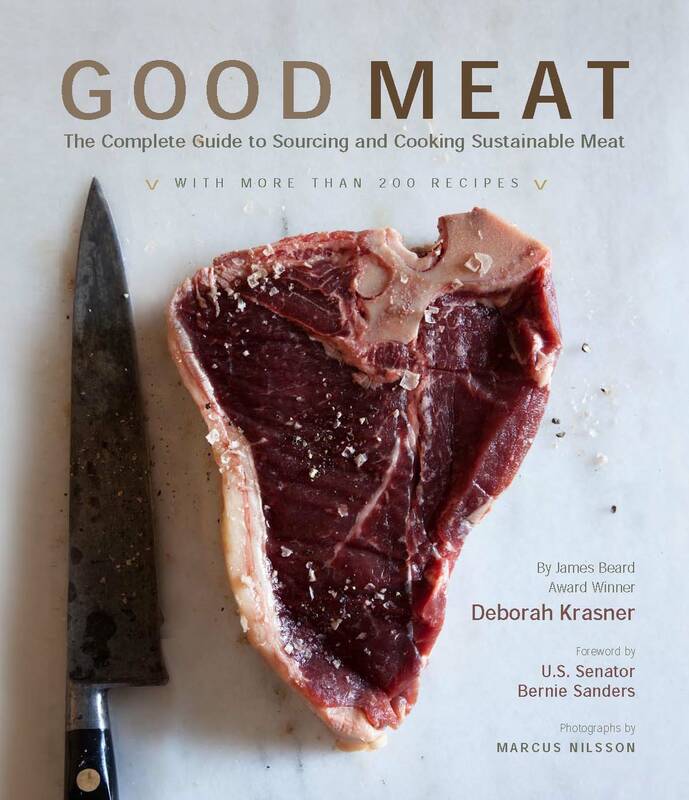 Chefs Collaborative recently had the opportunity to chat with Deborah Krasner, the James Beard award-winning author of “Good Meat: How to Source and Cook Sustainable Meat”. 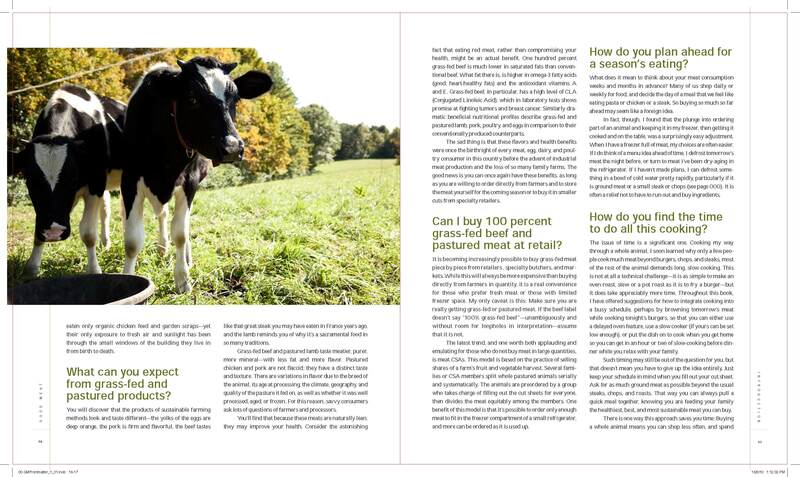 Ms. Krasner, a vocal advocate of grass-fed, pasture-raised beef, had much to say about its flavor, health and environmental benefits, as well as its accessibility to a cost-conscious consumer base. Her book is currently available on pre-order at Amazon.com, and comes out September 1st. 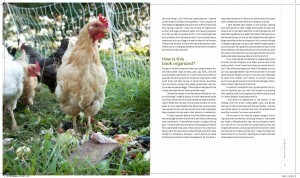 Chefs Collaborative: your book details your own experiences raising livestock and fowl. Could you talk a little about your background and how you got started? Deborah Krasner: I actually tell this story in the book. My youngest child was about to go to college and I somehow managed to forget that she wouldn’t be there in the fall. My farmer’s market was filled with local meat dealers, and in my excitement at seeing them, I ordered portions of a cow, pig, lamb, and poultry from different farmers over the course of the summer. By the time the meat was ready for delivery in the fall, I suddenly realized that I was about to have a freezer full of meat and no child at home to help eat it! remarkably, my husband’s cholesterol actually went down a whopping 40 points. It was an eye opener for us both, and provoked the research that eventually led to this book. It turns out that traditionally-raised, entirely grass-fed beef, and pastured pork, lamb, poultry and eggs have a good balance of omega 3s to 6s, and high levels of CLA (Conjugated Linoleic Acids), which can help lower cholesterol. Remarkably, good meat is good for you, and eating grass-fed red meat can actually make you healthier. All of the research that links red meat and high cholesterol is based on industrial corn-fed products. Our food sources and food supply have changed dramatically in the last fifty years, and not for the better. While it’s true that we can all make choices about what we eat, we can seek out sources, it’s sad that things have changed so much that it requires effort. That’s because before the industrialization of our food supply, everyone had access to traditionally-raised pastured meat. But if consumers begin to demand this meat, think (just like the organic movement), industrial food producers can turn on a dime. It’s their business to supply people with what they want, and it’s up to us to make our wishes known. Every time I go into a supermarket or a restaurant, I ask “is this grassfed”. We need to ask these questions – how was it raised? What did it eat? What breed is it and how local is the farm? I could raise chickens and guinea fowl in a movable shelter, and sheep using portable electric fencing. We discovered that it wasn’t so hard to raise much of our own meat on our less than five acre property. This will be the fourth year that we have raised all the lamb and poultry and eggs that we eat. We support other local farmers by buying in a portion of a pig and a portion of a cow annually. Raising a good portion of our own food has been wonderful learning curve. C.C. : Have you always been this way? D.K. : I have gone to my local farmer’s market as long as it has been in existence, and I’ve been a member of various CSA’s for many years. I feel increasingly uncomfortable walking into a supermarket, as I still have to do for things like paper products. Looking at the food on display, I often feel that none of it looks appetizing. I have the opposite response at the farmer’s market: everything looks so vital and beautiful, and I see so many things I want to cook. C.C. : What inspired you to write this book? D.K. : What really inspired me was realizing that it wasn’t just a Vermont thing. I host residential culinary vacations here in Vermont, and we cook local food, including grass-fed meat. Often, when my guests tasted it, they’d respond enthusiastically and say it reminded them of the meat of their childhood, or the dishes they’d eaten on trips to Europe. We always start each vacation at the farmer’s market, where they’d meet the farmers, and they would mourn their inability to find similar sources local to their home. In response, I would encourage them to explore their local scene. same protocol as my Vermont beef farmer – that’s when I realized that my Vermont experience might be possible anywhere in North America. I went on to discovered the website eatwild.com, which lists grass-fed producers eager to sell direct to consumers, state by state. Happily, there is really no state in North America where you can’t find local and grass-fed meat. I realized that everybody can eat like this, they may just not know it. I began to think: What do they need to know? They need to know what good meat is, where to find it, how to cook it, and (if ordering in quarter, half or whole animal quantities), how to understand and fill out a cut sheet for dividing the animal. Of course that presents a learning curve, because it’s different from going to the local supermarket and buying a few pieces of meat at a time. It’s quite a different experience having a full freezer, defrosting a piece of meat, and then cooking it. But buying good meat in bulk means that you can have the opportunity to eat nose to tail, with a lot of unfamiliar cuts that you might not have tried before. I believe that if we choose to eat meat, we have an obligation to treat those animals respectfully and use every part. I set out to cook every single cut that you could get from a processor for each animal I included in the book. In addition to all the usual cuts, some of the more exotic parts I cooked included beef testicles, pigs’ ears and tails, and sweetbreads. I rendered my own suet and lard and developed recipes using them. I have made confits of all sorts of meat, including my own duck. In writing the book and organizing it by animals and their primals and sub-primal parts, I wanted anyone to be able to dip into a freezer full of grass-fed meat, pull something out, and find a recipe in the book for that exact cut. I also wanted to serve those who buy meat piece by piece from farmers or specialty retailers, who might not know how to cook less familiar cuts, or the special cooking requirements of lean, grass-fed meat. C.C. : What are your hopes for people who read your book? D.K. : I hope people feel empowered to bypass the industrial food system and go direct to farmers not only for produce, but also for meat. This is important way to support small family farms that produce a niche product, and to support the health and vitality of your own family. C.C. : Could you tell me more about the “decision tree” section of your book? D.K. : When you order an animal in quarter, half or whole quantities, you need to order it using a cut sheet, so that the butchers at the processor will know how you want the animal divided. Any animal can be cut up in different ways, or by default, ground into hamburger. Looking at a whole animal, there are so many options beyond steaks, chops, burgers and roasts. Each choice you make can preclude other options – for instance, If you order roasts, you’re sacrificing steaks. The decision trees, which were made with the substantial help of skilled meat cutter, Adam Tiberio, who is the butcher at NYC’s Dickson’s Farmstand Meat, are designed to show the choices and trade-offs for each part of an animal, so you can make choices that are right for you. C.C. : How did you develop your recipes? Did anyone else contribute? D.K. : I had lots of inspiration, both in person and in print, and I tried to acknowledge them as I wrote the book. It’s the most multi-cultural book I’ve ever done. A friend from Thailand helped me develop some recipes, such as chicken feet soup; another friend from Australia gave me her grandmother’s rabbit recipe. There were recipes inspired by Sam & Sam Clark, of Moro Restaurant in London, who have written three brilliant cookbooks. In all of these cases, I tried to take those culinary ideas and make them my own. 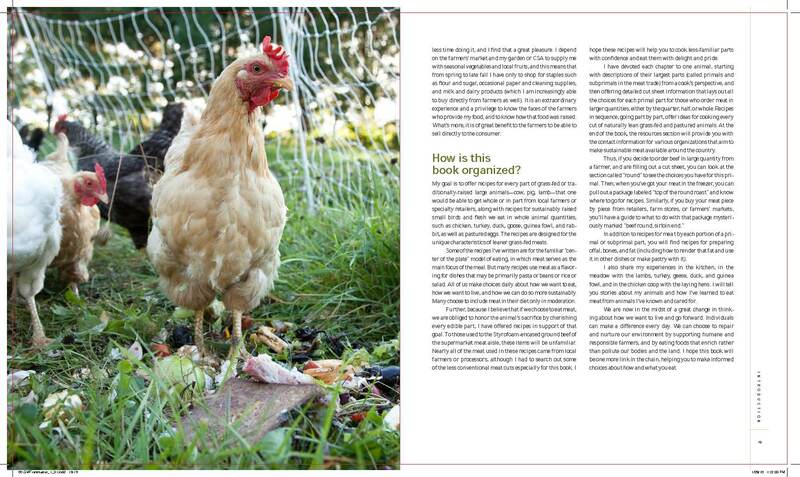 I found, in cooking my way through whole animals, that I was reminded of the kind of food I ate as a child. My mother and grandmother were both frugal cooks, and when they were cooking, many of these less-usual cuts were widely available in supermarkets and butcher shops. I remember eating pot roasts, stuffed cabbage, involtini, lamb shanks, beef shanks, oxtail soups, and I found it a great pleasure to cook them as an adult using good meat. C.C. : What’s inspiring you these days? D.K. : I’m thinking a lot about smoking and curing and canning; all the things I wanted to get into this book and couldn’t. The problem with a book is that you only have a year to work on it once you’ve signed a contract and have a due date. If you’re me, you get a lot of ideas you can’t work on because you have to turn the book in. I’m thinking about how to extend the book in a volume to follow. slaughterhouses. Do you have any comments? D.K. : It’s certainly the big knot in the system. There aren’t enough processors, and they’re now threatened by a new set of proposed regulations that would treat large and small facilities as if they are the same, which is an onerous and expensive burden for smaller plants. Everybody should be writing to the USDA and weighing in on these processor issues. They’re really central to the question of whether we can improve the infrastructure of local meats and increase the number of small, local meat processors. The culinary answer to that question is also interesting because stress profoundly affects the flavor of meat. The best producers do everything they can to avoid stressing the animal at any point in their life. When I visited La Cense, a Montana grass-fed beef ranch that operates on a huge scale, in addition to all the protocols they‘ve developed to keep the animals as relaxed as possible, they always have a cowboy accompany their animals to the processor to ensure that they are not stressed at any part of their final journey. C.C. : If our members have any questions, at what address can they contact you? D.K. : They should feel free to e-mail me at goodmeatbook@gmail.com. I don’t usually comment but that was great. Really well said. Thank you. Click here for info on beef. Well you’ve just made my bookmarks list. Thanks for the post. Cool ideas there, thanks. I honestly took the plunge and got me some chickens last week! Now I have more eggs than I know what to do with!. You might like these egg recipes.